While in China, I became good friends with a young lady who was my Chinese language tutor. Over time, she used me as an older, wiser confidant when she was going through some tough emotional times. In our history together, we were always able to have very serious, honest discussions. Recently I sent her a list of questions about China’s children. Lucy is very worldly–even to the extent of dating foreign men and working her way up in her company. Based on the life experiences I know she has already had, I was surprised at her responses to my questions:How old are you? Are you from a lower, middle or upper class family? What do you do for a job? Do you have a college degree? A: 24. from middle-upper class(parents were doctor and teacher). i work in a multinational company as a purchaser. yes, postgraduate. What do you think of the adoption program China has with so many countries? Does it make you sad to see so many of China’s children leaving? A: Never heard about the adoption program. However, do think its good to have a program like that (to open the eyes of the kids), even though i quite doubt about whether the foreign forster families will be good and kind to the child forever. We have built a hostile attitude to western countries through media and we heard so many stories how Chinese students were badly treated in foreign countries, in sense of this, why should we believe a foreign family will be nice to Chinese kids? Are these kids adopted because of some evil purposes? I wont feel sad to see kids leaving China, but definitely i will feel worried. Do you see agree with the one-child policy in China? Why or why not? A: Disagree. because its not good for the kid to grow up since he/she is the little king/queen surrounded by her parents and grandparents. however, the one-child policy is not so tight now these days, you pay 150,000RMB and will get a second-child license in some parts of this country, limited to rural area. but since its so expensive to raise a kid now(education, training…), people tend to have one kid esp if the kid is a boy. but girls are also ok now. i have friends who have a baby girl now and dont want to have a second one. of course i also have a rich friend who had his third kid born 2 years ago. Do you know of any Chinese families who have adopted from China’s orphanages? Do you know of any girls who have abandoned their babies/children? If you do, what was their reason? Where did they leave them? Were they sad or not? A. So far not. girls get pregnant and will marry the boy, thats what happens now. If you were to get pregnant before marriage, what would you do with your child? A: Marry the boy, no other choice. What do the Chinese people think about orphanages in their cities? Do they believe the children are well cared for? Do they think an orphanage is a safe place for their child? A: Orphanages are a remote part to a city and to people’s minds. from what i know, i dont think kids were well treated there, just like old people’s home. my father is a doctor and he told me in a “home”, old people were injected with sleeping pills right after breakfast to keep them from moving too much thus causing trouble to the caring nurses. after 3 months sleeping pills, oldies die. there is NO promotion or sth of orphanage in TV or any media, its a forgotten place in China. Why do you think most of the children in orphanages were abandoned? What reason? A: most kids there must be from poor families where they cant afford or simple dont want. whenever the parents CAN afford the kid, they wont abandon them. 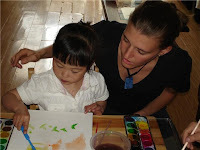 If a woman in China were to decide to adopt from an orphanage, do you think she would adopt a health y child only, or would she consider a special needs child? A: a woman alone can NOT adopt from orphanage!!! it need to be a family without kids and have the adoption license from government after passing several critieras. the family will adopt a healthy one for sure, and the family will still not happy in the future. Chinese have very very strong passion for “blood-passing-down”, a son of their own is everything to them! sorry for late reply. after i wrote down all my answers , i realized chinese culture is so great, but its love for kids or even for human being is so limited. that reminded me of the very fact that Chinese culture were produced in a country’s interests, but not individuals….. I can feel many people, no matter high-educated or cant read at all, are NOT educated on topics like orphanages. It makes me feel a bit sad and disappointed, who can change it? like what i said before, its simply a forgotten place in China, people are not interested at all. with fast-growing economy, people have much more urgent topics to think about– housing, cars, stocks. cant believe it. but thats the fact. now you realise why its so difficult to bring xiao gou a bright future because nobody cares here. im telling the ruthless fact and pls dont be sad …. Thursday night Ben and I went to a Crisis Pregnancy Benefit. Our guest speaker was a man talking about his child, who was born with spina bifida and cannot walk. After he told his heart-warming story, he showed a video. The video showed his child with his little battle-scarred body, crawling around but still smiling and having hope. 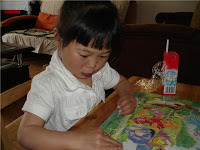 I sat at the table with tears sliding down my face, because I was suddenly overcome with so many memories of the children I left behind in China. As our assignment came to an end [accelerated by our wishes to get back to the states], I was more than ready to come home–to leave behind the sadness and frustrations I had carried for almost five years. Did I tell you I never said good-bye at the orphanage? I couldn’t. I sit here crying now because I am ashamed that I didn’t make myself go and look at those tiny faces one last time. The directors came to me–at my home to tell me their farewells. They took the time and trouble to find out where I lived and travel over with gifts for me. They were puzzled as to why I wouldn’t come back and let them give me a “Chinese farewell party.” The truth was, and still is, that I was ashamed that I was taking the easy road and coming back to my cushy life in America. My spirit had been crushed and I know I needed time to heal–but how I wish I was back there, finding new ways to help the children. I could have done more, pushed more, raised more money! Bottom line is that there was more of me to give. But for now, it is too late. I’ve moved on but those little faces will not just slide into the background. Will I ever get a chance to make it up to them? Who knows. Perhaps I deserve these constant memories and aching heart. After all, God put me over there for a reason. I came up with so many excuses as to why it was time to leave China but the truth is, I should have stayed.